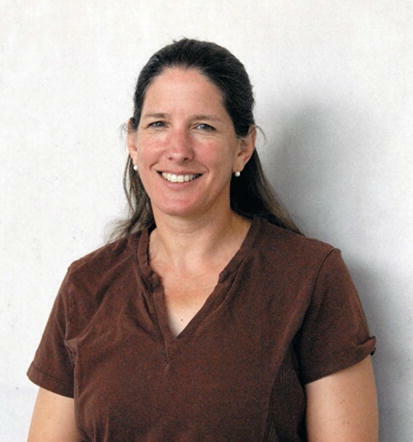 Elizabeth Kryder-Reid is a North American anthropological archaeologist known for her interdisciplinary work in landscape studies, museum studies, and issues related to cultural heritage. She earned a Ph.D. in anthropology from Brown University in 1991. From 1989 to 1991, Kryder-Reid served as instructor at the University of Maryland at College Park. From 1991 to 1996, she was a research associate at the Center for Advanced Study in the Visual Arts, National Gallery of Art, working on the Keywords in American Landscape Design project and then as lecturer at George Mason University. In 1998 she became assistant professor of Anthropology and Museum Studies at the Indiana University School of Liberal Arts at IUPUI (Indiana University-Purdue University Indianapolis) where she advanced to the rank of professor in 2015. She served as director of the IUPUI Museum Studies Program from 1998 to 2013 and since then as director of the Cultural Heritage Research Center, filling in as interim director of Museum Studies as needed. Kryder-Reid is recognized for her commitment to public scholarship, that archaeologists and other heritage professionals must engage directly with their publics in generating and communicating heritage knowledge. In 2003, Kryder-Reid was instrumental in creating the Museum Studies Master of Arts program at IUPUI, which is now widely recognized as a leading program in the United States for promoting a civically engaged curriculum as a training path for cultural heritage professionals. To advance the principles and institutional capacity of public scholarship, the faculty members for the program were called Public Scholars of Civic Engagement, and they partnered with area museums and heritage organizations. All of them – Public Scholars of Native American Representation; Collections and Community Curation; Curatorial Practices and Visual Art; African American History and Museums; and Museums and Learning – have direct links to issues of representation in museums, ethical treatment of cultural and intellectual property, and community collaboration. From 2000 to 2005, she served as Midwest regional representative to the Committee on Museum Professional Training of the American Alliance of Museums. In 2012, she received a Distinguished Service Award from the Association of Midwest Museums. Kryder-Reid (1994, 1998) is also recognized for contributing to an interdisciplinary approach to landscape studies. Her landscape research began in the late 1980s working with Mark Leone, Barbara Little, Paul Shackel, and others to understand the relationships of political power, class, gender, the use of gardens, and other factors in the evolution of cultural landscapes in Annapolis, Maryland. Published in 2010, she was a major contributor to Keywords in American Landscape Design, a heavily illustrated dictionary of concepts and terms used in landscape architecture and garden planning from the seventeenth to mid-nineteenth centuries. In 2011, the volume received both the John Brinkerhoff Jackson Book Prize from the Foundation for Landscape Studies and the CBHL Annual Literature Award (Technical Category) from the Council of Botanical and Horticultural Libraries. In the early 1990s, Kryder-Reid developed an intense interest in the 21 missions established by Franciscan order Catholic priests between San Diego and Sonoma, California, from 1769 to 1823 (Kryder-Reid 2007, 2010a). Her first research trip was in 1991 and was in some ways an extension of her 1984 undergraduate thesis on Chumash collections at Harvard University and the Smithsonian National Museum of Natural History, bolstered by a 1993 Huntington Library Research Fellowship. The California missions were part of an effort to colonize New Spain by evangelizing Native American Indians of the region and to introduce Spanish culture. In the process, they abused and oppressed the Native peoples. The missions that survived, as the oldest colonial structures in California, have become the state’s most visited historic monuments and a commonly used symbol for the state in popular media. The missions are also a source of controversy in California’s elementary school curriculum because harsh treatment of Native peoples in the missions has been neglected. Misleading representations of their cultures and their plight have fostered negative opinions about contemporary Native Americans in the state. Kryder-Reid’s (2016) long-term study, California Mission Landscapes: Race, Memory, and the Politics of Heritage, explicates the construction of public memory about the missions in the nineteenth and twentieth centuries and documents the reinvention of the missions from colonial outposts that exploited and marginalized Indigenous people into nostalgia-laden heritage sites. Although she critiques this process, she also offers possible ways by which the missions could provide different, more truthful visitor experiences. Kryder-Reid has received several awards for her publications about the California missions. In 2012, for her essay about the landscape history of the Santa Barbara Mission (Kryder-Reid 2010b), she received the Society of Architectural Historians Landscape History Chapter Essay Prize. In 2017, the Foundation for Landscape Studies honored Kryder-Reid by awarding her California Mission Landscapes the John Brinkerhoff Jackson Prize; in 2018, the book received the Abbott Lowell Cummings Prize from the Vernacular Architecture Forum. Two additional awards followed in 2019. The Historical Society of Southern California awarded California Mission Landscapes the Norman Neuerburg Prize as the best book on California history emphasizing the nineteenth century or earlier, and the Society of Architectural Historians presented the Elisabeth Blair MacDougall Book Award. Kryder-Reid’s interests expanded to examine heritage sites in the Midwest United States in 2015, a project that had its origins as an intersection of her involvement in the Shaping Outcomes project’s (www.shapingoutcomes.org) developed in 2008 for the Institute of Museum and Library Services, which placed the focus on users or audience, and questions about the meanings of heritage within fields of power being interrogated by critical heritage studies. She and her colleagues explored heritage values with a focus on stakeholder-defined values and the role of government in the use and interpretation of two precontact archaeological sites with contested heritages (Kryder-Reid et al. 2017). Kryder-Reid describes most of her research as having a focus on “cultural heritage and how humans appropriate the tangible and intangible remnants of the past and mobilize them in the constitution of social relationships.” Using archaeological, historical, and art historical approaches, she seeks to “explore the intersections of landscape and power and examine how the built environment and other forms of material culture are deployed in the contestation of social inequalities across boundaries such as gender, race, class, ethnicity, and religion.” She values “collaborative research and seek[s] to produce public scholarship that is accessible, useful, and explores systems of power and social difference” (Kryder-Reid 2017).